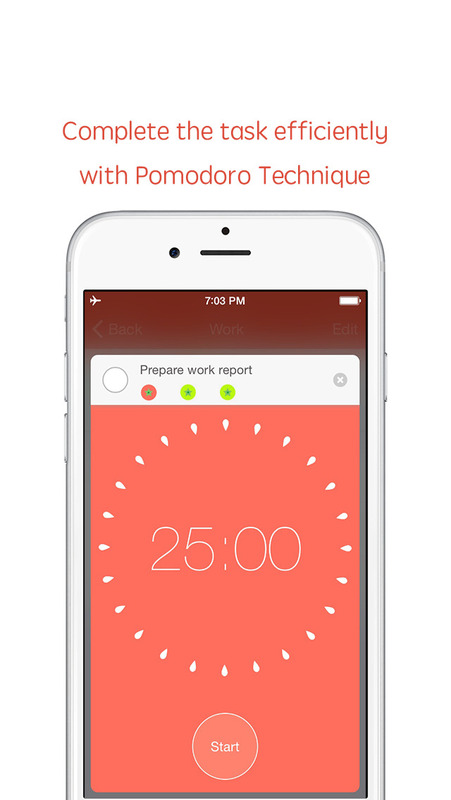 PomodoroToDo combines Pomodoro Technique and traditional task management (GTD), PomodoroToDo make you easy to collect & arrange tasks in your work&life. You can use the Pomodoro Technique to complete task efficiently, PomodoroToDo makes your work&life more productive! • Show progress of projects, and every project workload in detail. • You can set the number of Pomodoro, deadline, reminder, repetition, note&subtasks. • Integrated Pomodoro Timer, you can work more efficiently by use it. • Detailed reports, you can check your number of completed tasks, number of completed pomodoros, and the general trend in the number of completed tasks and the number of completed pomdoros.